Three enter not guilty pleas to negligent homicide in connection with death of James Wippel. One year after the death of an inmate at the Jefferson County Correctional Facility, three corrections officers were arraigned April 19, on charges of criminally negligent homicide in connection with the death. Cpl. 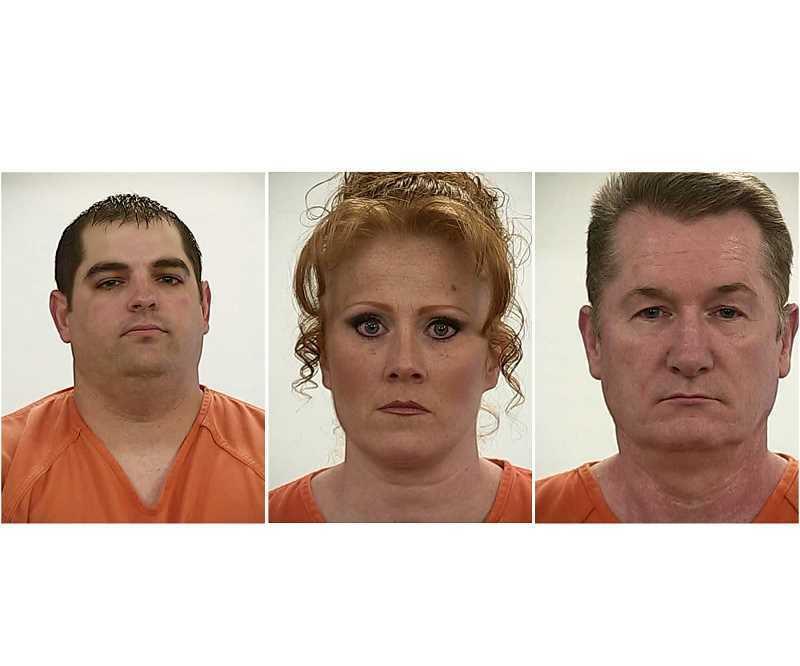 Tony Hansen and deputies Mike Durkan and Cory Skidgel, who are all on paid administrative leave from the Jefferson County Sheriff's Office, pleaded not guilty to the charges before Jefferson County Circuit Court Judge Gary Williams. The charges were a result of an investigation into the April 26, 2017, death of James Eugene Wippel, 59, of Portland, who had been taken into custody in the early morning hours of April 24, 2017. According to the arrest affidavit, an officer with the Warm Springs Police Department was dispatched to the parking lot of Indian Head Casino at 3:42 a.m., to check out a report of two people inside a black car smoking from a glass pipe. The first officer on the scene approached the vehicle, a black Mercedes, and observed a large, glass smoking device with brown residue plainly visible on the center console. Wippel was alone in the vehicle. When another officer arrived and reviewed video from security cameras, he was able to see Wippel lighting and smoking from the device. A subsequent test showed the residue was likely methamphetamine, and Wippel was arrested for unlawful possession of methamphetamine, and transported to the JCCF, in Madras. At the jail, Wippel told the arresting officer that he had "about a gram" of heroin inside his backpack. When they searched his backpack, corrections staff found a syringe with a dark brown liquid and a baggie with three large black heroin rocks. Staff also located a baggie with small pill pouches and $4,408 in cash. Wippel was charged with unlawful possession and delivery of heroin. On the morning of his death, Wippel told staff that he wasn't feeling well, and was seen by the jail nurse. Jail officials called for an ambulance, and at about 8:30 a.m., he was released from the jail's custody, so he could be transported to the hospital by Jefferson County Emergency Medical Services. "Staff walked him to the gurney," said Sheriff Jim Adkins, adding that ambulance personnel were preparing Wippel for transport when he died. "When this all started, I called for the investigation — back in April (2017)," said Adkins. "The Major Incident Team that did the investigation for me turned all their reports over to District Attorney Steve Leriche." "For reasons of fairness and unbiased examination, the Jefferson County district attorney decided to have the case reviewed by the Clackamas County district attorney (John Foote), who brought the case before a Jefferson County Grand Jury," said Adkins. "They have not shared those reports with me," he said on Monday. Following their arraignment April 19, the three corrections officers were booked at the jail, and released. Hansen was hired by the JCSO in February 2015, Durkan in April 2015, and Skidgel in February 2017. The three will remain on administrative leave until an internal investigation or the prosecution is completed, Adkins said. "I will trust the system to work the way it's supposed to; I don't want to jump to conclusions," he said. Criminally negligent homicide, a Class C felony, is punishable by up to five years in prison and a fine of up to $125,000.